Recently I had the pleasure of speaking with a panel of talented technology leaders on the topic of burnout within engineering organizations. I have worked with startups and led engineering teams large and small. I’ve been through burnout first hand and have also helped teammates come out the other side, and it was incredibly valuable to have a dialogue on the subject and learn from people’s first-hand experience how to address this problem with the greatest success. Huge thanks go out to Nylas for hosting the panel. Before diving into techniques to prevent and manage burnout, it’s helpful to talk about what it actually means to burnout. Many readers are familiar with the physical effects of burnout; exhaustion, trouble sleeping, inability to focus. With burnout, this exhaustion also has mental and emotional impact, creating a level of fragility born from overtiredness and frustration. Those suffering from burnout will begin to lose empathy and may find themselves in more conflicts than they are typically accustomed. Not only does this state impact one’s performance, but it can also impact how one feels about their competence and success at their job, diminishing their ability to recognize their daily accomplishments. When suffering from burnout these effects can be expressed as resentment or disconnection from the work they are doing. Often this is a coping mechanism to distance oneself from from the source of exhaustion. The medical profession has one of the highest rates of burnout in any industry. It also is a field that thrives on data and academic rigor,so when facing the burnout problem, they’ve treated it like any other disease – with research and standards. In the early 1980s, the Maslach Burnout Index was published – which surveys 22 different criteria to provide a deep view of burnout and give a basis of comparison for the problem. When studied generally, the MBI defines three categories or scales that are affected by burnout (Exhaustion, Cynicism, and Professional Efficacy), with specific questions targeted at identifying many of the symptoms I discussed earlier. The effects of burnout can be significant for any organization, large or small. Gallup recently performed a study on burnout and its effects. 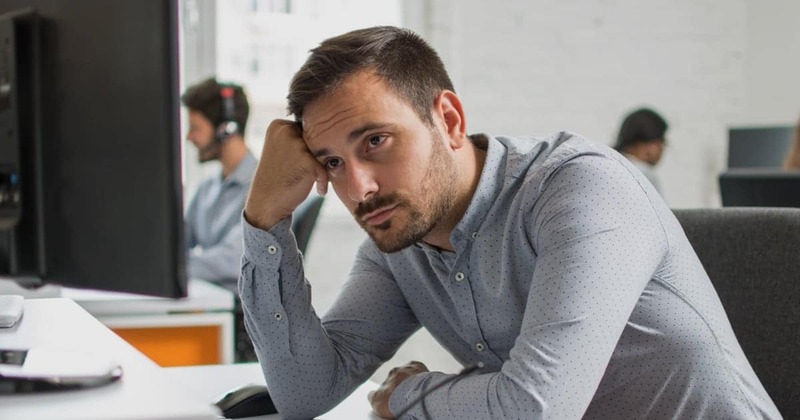 Their results showed that burned-out employees are 60% more likely to take a sick day, and more than twice as likely to be actively seeking a different job. Amongst those who stay, they typically have lower confidence in their performance and are half as likely to discuss how to approach performance goals with their manager. Burnout can trigger a downward spiral, impacting performance and reinforcing its causes and affecting both the individual and the organization. Burnout can’t be gauged with as simple measures as the number of hours worked or the amount or the number of hours one sleeps. While the signs of physical exhaustion are often clearest, and most easily addressed, just because a teammate is working late doesn’t mean they’re at risk of burnout. Sometimes it is quite the opposite, the excitement to dig into a project or accomplish a big milestone can invigorate someone to put in the hours and go the extra mile. They’re tired for sure, but the rewarding nature of that work can fill up the tank and provide a wave of motivation to move to tackle the next goal. What I look out for is when that sprint becomes a marathon. If milestones are too large or not given enough time it can be easy for them to slip – and once the team starts operating from a place where they are behind every day feels like the last mile, the last push, even if the finish line is weeks away. It’s like fighting against quicksand. This can be incredibly demotivating and fosters the very exhaustion and frustration that leads to burnout. Similarly damaging is if those milestones are unclear, or if people feel their treatment is unfair; work becomes a struggle to reach what seems to be a moving target. Two of the most common factors contributing to burnout at work are these unclear or unreasonable deadlines, and poorly defining or communicating why this work is important and valuable. If you are experiencing the symptoms of burnout, there are several steps you can take to help bring yourself to a better place. First and foremost, taking the time to address the physical symptoms of exhaustion will give you the strength to work through the more complicated symptoms. No matter how far essential the deadline is or how far behind you feel you are, know that addressing burnout will make you far more effective than just trying to push through. Whether it be a vacation, a mental health day, or just clearing your weekend schedule, take time to get a good night of sleep and separate yourself from your work. However, simply returning to the grind without making changes will usually bring burnout back hard and fast. It is critical to communicate with your team or manager how you are feeling. By working together with your stakeholders to reset expectations, to bring in more help, and to reinforce the value of the work can go a long way to prevent relapse. When returning to the task at hand, set yourself incremental goals, celebrate their completion, and find ways to collaborate or share that work with others. As a leader in an organization, you can help stop burnout before it starts. Performance goals and expectations should be clear and within the employee’s control. Work should be purposeful, individual contributors should have ownership, and teamwork should be encouraged to help spread the load and increase visibility into potential issues. Most important of all is ensuring there is an open channel of communication, both to integrate everyone’s opinion and to communicate down the goals and importance of the work. It is common when experiencing burnout to consider it a personal failing, that they aren’t working hard enough or aren’t good enough to succeed, which can reduce communication about what they are experiencing. It is essential for managers to encourage open and honest discussion through routes like one on ones, named or anonymous comment systems, and project and sprint retrospectives to see what is going well and what is going poorly. For those further removed from individual contributors, you should find ways to make yourself available – holding skip-level meetings, having an open door policy, or even extending an open invitation any time you go for coffee can encourage greater visibility with teammates throughout the organization. When planning projects, they should have clear and measurable goals that are known and can be communicated by everyone on the project. All too often can you find people working for days or weeks on a project that they may not properly grasp why it is valuable to the company. Even worse is when a team breaks its back to deliver a project only to find that it failed to achieve its goals or potentially has negative effects. An ideal workflow validates a project early, has several incremental deliverables to eliminate the long march, and that is strongly measured against its goals so that the entire team and company can see the impact that effort had. At Split, we are strong believers that an agile workflow powered by experimentation and incremental feature rollouts can have a dramatic effect on the motivation and stress levels of product and engineering teams, and meaningfully reduce burnout.